As digital cinema camera technologies continue to evolve, one pattern has clearly emerged as the new flavor of our time: recording RAW camera sensor data. With the emergence of powerful post-production workstations, it makes theoretical sense that one would want to record all the unprocessed data the camera sensor has to offer and deliver it to post-production to process that data and create the final images we seek. Yet, in reality, the methodologies of implementing these steps seem as varied as the cameras themselves, suggesting that there are other factors at play that influence this seemingly straightforward concept. In my daily dealings as a director, cinematographer and educator, I am astounded at the amount of confusion I see amongst producers, studio executives, clients and even my advanced graduate students at UCLA Film School when it comes to the topics of RAW, Uncompressed and Log recordings. These terms seem to be used interchangeably and often in the wrong contexts. The goal of this paper is to help demystify some of these terms by specifically analyzing Canon's implementation of Cinema RAW recording in its flagship camera, the EOS C500. By identifying and explaining all of the tenants that make up this novel approach to RAW recording, the hope is to empower creative storytellers to use this new technology to its fullest potential by capturing and delivering images of stunning depth and quality. According to the Merriam-Webster dictionary, the definition of RAW is: "being in or nearly in the natural state: not processed." Applying this to image capture would mean capturing all of the sensor data information and delivering all of it in it's "natural state" to post-production for processing. If this sounds familiar, it is because this implementation has existed for quite a while now in the photography world. Canon's own Canon RAW file format (.CR2) offers this workflow for photographers wanting to record unprocessed image data and later apply settings such as picture style, color space, color balance, contrast, saturation and tonal values. Applying this to images recorded at 24 fps should be an uncomplicated proposition then – and yet, it is not. When we talk about recording untouched RAW sensor data, we have to realize that we are talking about an enormous amount of information. In this age of digital acquisition where we no longer have a negative to store in a vault, all of the data that is acquired has to be duplicated several times for backup and safety purposes, resulting in hundreds of terabytes worth of data that has to be archived. A still photographer is given a choice for every still photo that is taken. Do I need to record a RAW still image, knowing that a single photo on an EOS 5D Mark III at full-resolution RAW is about 27 MB per frame (processed at 16-bit per channel mode in Adobe Photoshop, this will become a 126 MB frame) or is it okay to apply compression to the image (JPEG for example) to bring the storage down to a 1/10th of the size given the delivery medium of the final image? This is a decision that is not offered to a cinematographer on a frame-by-frame basis, but rather on a project-by-project basis. How much compression am I willing to accept for the millions of frames I am about to record? Through techniques such as compression, gamma mapping and bit rate reduction, we can achieve images that are almost visually and imperceptibly different from their untouched counterparts. RED Digital Cinema pioneered compressing RAW recordings3 from 3:1 all the way to 18:1 using their REDCODE RAW Codec4 and all of the new digital cinema cameras from SONY (F65, F55, F5) only offer compressed RAW recordings in their RAW recording options at compression ratios of 3.6:1 (F65RAW-SQ5, F55RAW6, F5RAW7) or 6:1 (F65RAW-Lite8). Because our concept and definition of RAW recording is now open to include compression, the question that begs to be answered is: "What else can we do to the RAW recording to ensure that we deliver the highest possible quality from the sensor in the most efficient and economical way?" Canon has made a very late entry into the competitive field that is digital cinema. Being a latecomer has the disadvantage of having to play catch up with the leaders in the field, but there are also the advantages of learning from others and not being tied to any legacy standards. 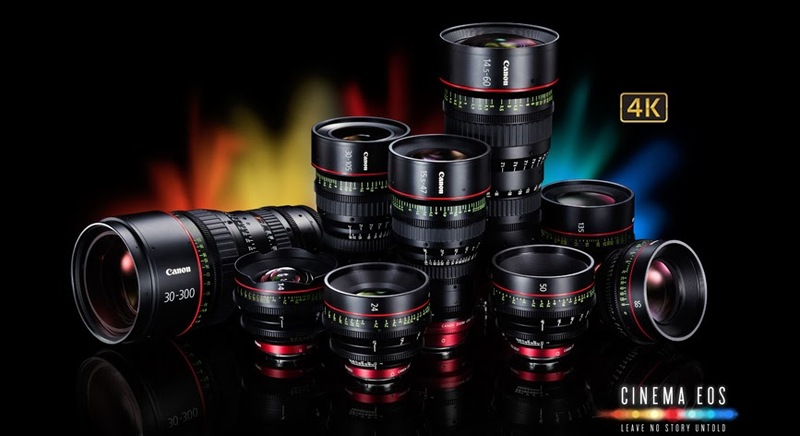 The general philosophy behind Canon Cinema RAW seems to be centered around this concept: instead of capturing the native untouched sensor data at high bit depths and then compressing that data for recorded delivery, why not make sensor gain adjustments for user adjusted variables like ISO and White Balance at high bit depths and then deliver that data at a manageable bit depth, but in an uncompressed form. This approach is unique to Canon and worthy of some further analysis. Figure 1 shows all the characteristics associated with recording Canon Cinema RAW. Much like the famed Cineon format9 pioneered by KODAK10 to scan film negatives11, the Canon Cinema RAW format is captured in individual files where every frame is a separate file. These files are assembled in their recording order in what is called a “file stack.” So when you look at a shot captured in Canon Cinema RAW, you will find a folder full of individual .RMF files. You will notice quite a few similarities between the Cineon file format and how it handles film negative and the Canon Cinema RAW format and how it handles RAW data. They are both 10-bit file formats and both are encoded with Log data (more on that later). One of the differences is that Canon Cinema RAW, being a newer format, also allows the embedding of both audio and rich metadata in each individual file. When discovering that the recorded .RMF files were "only" 10-bit, I initially wondered if this was enough bit depth to maintain high quality files. After all, while I understand that film was scanned at 10-bit in Cineon format for years without issue, aren't most of the other digital cinema cameras recording 16-bit RAW files? The answer is: sort of. The cameras that record 16-bit RAW files do so with varying amounts of compression, not uncompressed like Canon Cinema RAW. The Arri Alexa does record uncompressed RAW, but it does so in 12-bit Log format, not in RAW uncompressed 16-bit Linear12. As it currently stands, the Canon EOS C500 records the most amounts of RAW data per frame of any of the current digital cinema cameras. The Arri ALEXA would record more data because it records in 12-bit Log, but due to its maximum raster size that’s limited to 2.8K instead of 4K, it maintains a file size of 7 MB/Frame in 16:9 mode. What this shows us is that you have to be careful for what you wish for. If we were to ask Canon to record at higher bit depths than 10-bit uncompressed in 4K, this would result in exponentially larger files that ironically would then have us asking them if there was any way they could compress them for us. The walk away here is that while the file container might be 10-bit, like Kodak's Cineon, the uncompressed nature of the four 2K streams packs a tremendous amount of sensor data per frame into Canon Cinema RAW. This is probably the most controversial yet innovative feature of Canon Cinema RAW. If the definition of RAW is that of being strictly untouched sensor data, then embedding values seems to contradict this, but in fairness, so does applying lossy compression to the RAW signal. It is important to remember that at no point in the signal path is the sensor data debayered in-camera. As explained in a subsequent section below, the four parallel 2K data read-outs from the sensor are multiplexed and the resultant signal is recorded as an .RMF file stack where it still needs to be processed and debayered for viewing and use in post-production. Canon's viewpoint is that "a RAW signal is one where no process has been applied to the signals coming out of the image sensor that impair their dynamic range, their optoelectronic transfer function or their color space. The original sensor outputs can be completely recovered as linear light representations in the color grading process. " While debating the merits of what qualifies as RAW and what doesn't could be entertaining and nourishing to the soul, I will leave that discussion to people much smarter than I am. Instead, I am more interested in analyzing what is embedded, why Canon found it important to embed this information and how as a professional cinematographer, I can take advantage of this novel process to enhance the images I create.